"Am I safe here?" 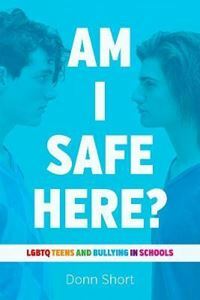 Every day, LGBTQ students ask this question within the school system. Donn Short treats students as the experts, asking them to shine a light on the marginalization and bullying faced by LGBTQ youth. They insightfully identify that safety comes from a culture that values equity and social justice, not just security cameras, and they envision a future in which LGBTQ youth are an expected, respected, and celebrated part of school life. This book offers a path to creating equitable and inclusive schools, drawing on the spontaneous and timely words of LGBTQ students to show that nothing less than a total culture change is needed.